Trolls Ahead: Why IP Protection Matters! With Monday’s announcement on Scanbuy’s partnership to combat QR Code patent attacks, we thought it would be helpful to include a post on IP protection and its place in the telecommunications industry. Intellectual Property protection is an issue which affects every industry where valuable ingenuities have been developed and commercialized. In fact, Intellectual Property has been legally protected, in one form or another, since the inception of the United States. The founders of the United States saw the need to bestow upon creative minds an incentive for them to cultivate their ideas until they had useful and practical applications of those ideas which could be enjoyed by the public at large. The area of Intellectual Property which covers novel inventions and processes is called Patent Law, and these inventive ideas are protected through the issuance of a patent. On the one hand, we want society to benefit from and further develop technologies which have been brought to the market. On the other hand, inventors will be less likely to introduce their inventions to the public if they are not assured some kind of personal benefit. The balance that was struck was the issuance of a limited monopoly, one that would expire after a set period of time, during which the original inventor will exclusively have the right to develop, commercialize and market their inventions to the public. After the expiration of these time-limited monopolies, others could build and market generic forms of these inventions as well as further develop these inventions. These intangible Intellectual Property rights are treated like tangible property in the eyes of the law, in that their owner has the freedom to sell or license those rights to others. It is hard to imagine an industry in which change and growth occurs as rapidly as it does in the telecommunications industry. As such, the importance of protecting the costly investments made by businesses in developing new technological advancements in the industry becomes all too clear. Unfortunately, not everyone plays fair when it comes to Intellectual Property. Some choose to purchase the Intellectual Property rights of others without developing a practical application of those valuable ideas. Instead, they wait until someone else has developed a practical use of such Intellectual Property and then threaten those parties with costly litigation unless they pay what often amounts to a hefty fee. A nice term for these Intellectual Property extortionists is a Non-Practicing Entity (NPE), but a more accurate term is a Patent Troll. 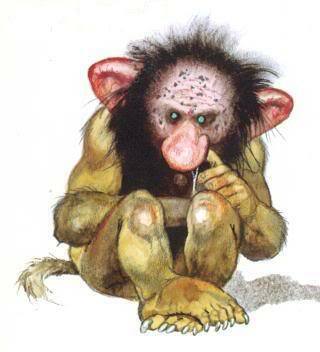 Just like the trolls from fairy-tales who demand payment for crossing a bridge they did not build, these Patent Trolls will demand payment for the use by others of something they did not create. Consequently, businesses must be vigilant in their investigation into whether their business partners can protect them from pesky Patent Trolls. Such protection can only come in the form of a rock solid patent portfolio and strong licensing agreements. All too often, businesses choose to cut corners in order to bring their products to market only to spend far more money later on in court or in settlements with Patent Trolls.